Flip a coin for each energy card attached to Justin Bieber in addition to the base cost of this attack. Deal 10 additional colorless damage for each heads result. Flip a coin. If heads, the Defending Pokémon is now Paralyzed. 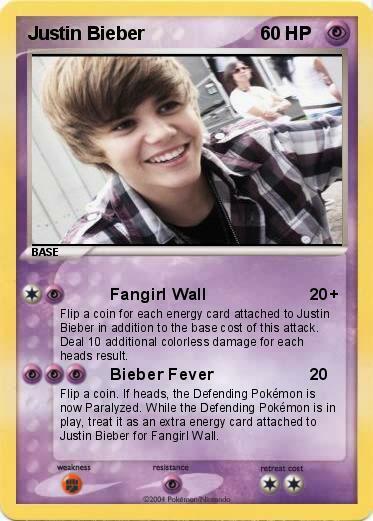 While the Defending Pokémon is in play, treat it as an extra energy card attached to Justin Bieber for Fangirl Wall.